Upload, manage and share files with confidence. 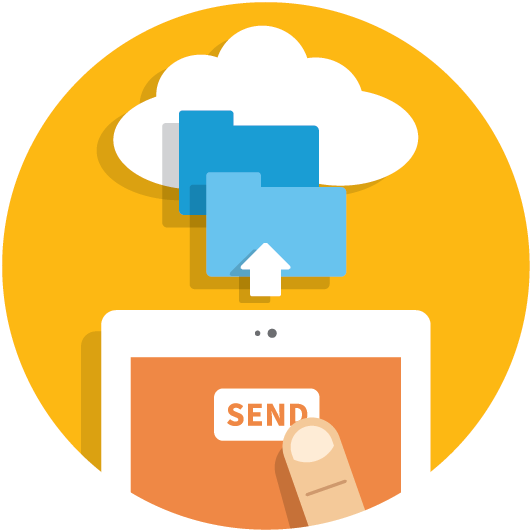 Email or upload your files to the cloud. 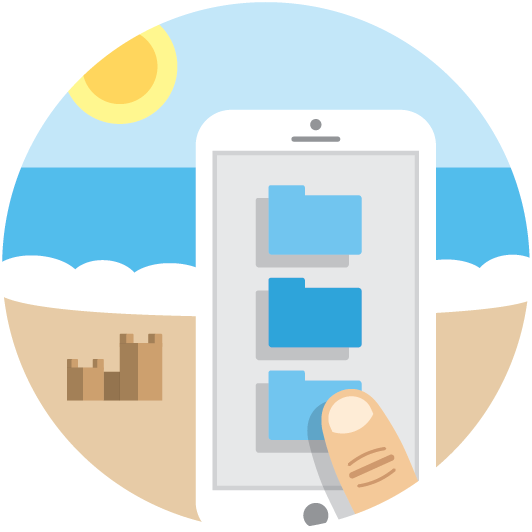 Manage your files from anywhere on any device. Allow third parties to securely add or download files. Put your stuff in the cloud. Getting started with CloudFile is easy. 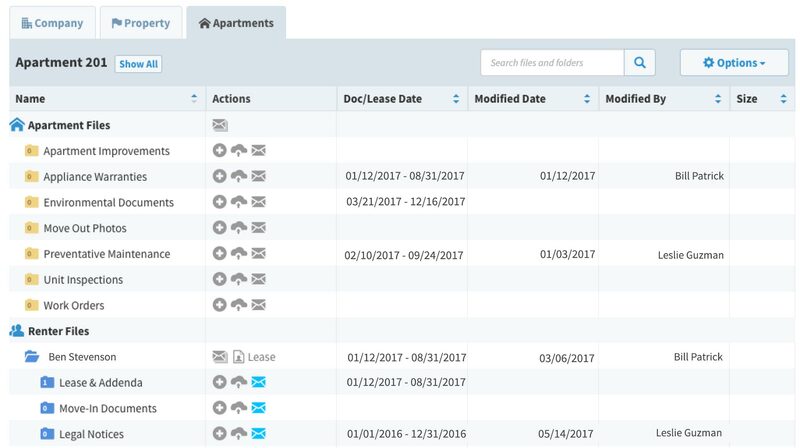 CloudFile is already pre-configured for multifamily operations with folders for your company, regions, communities, units and residents. 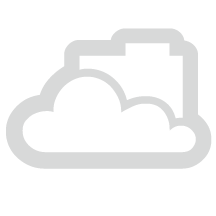 Simply upload, email or fax your files to the cloud. Best of all, there’s no limit on how much you can store so upload all you want. 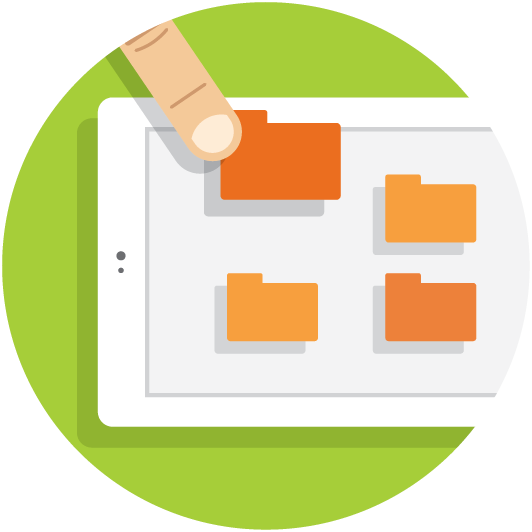 Once your files are in the cloud you can access anything at a moment’s notice from any device. Folder permission levels are based on existing roles at your company, which means you can restrict access to certain users too. Unlimited storage. Upload all you want. Built-in search. Retrieve files by file name, resident name or apartment number. 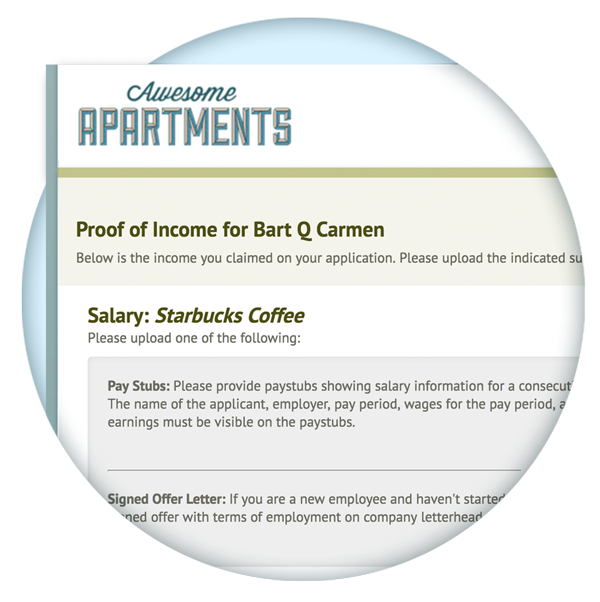 All the usability of consumer cloud storage solutions, but built for multifamily. 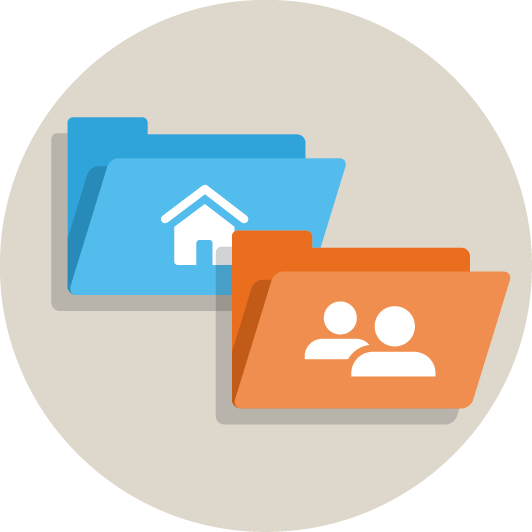 CloudFile lets you share files within communities or across your entire portfolio via secure download links. What’s more, recipients don’t need a CloudFile account to download files, which means you can collaborate with anyone, even vendors outside your company. Secure hosting. SAS 70 certified & PCI compliant. Redundant storage. Class-A facilities with next-gen security and disaster protection. Easy community transfers. We don’t hold your data hostage. Subscribe to folders and receive notifications anytime changes are made. More than a file cabinet in the sky, CloudFile is a collaboration tool that streamlines slow and annoying workflows. 744,607 e-signed documents archived in CloudFile. 18,615 hours saved with documents that filled themselves. 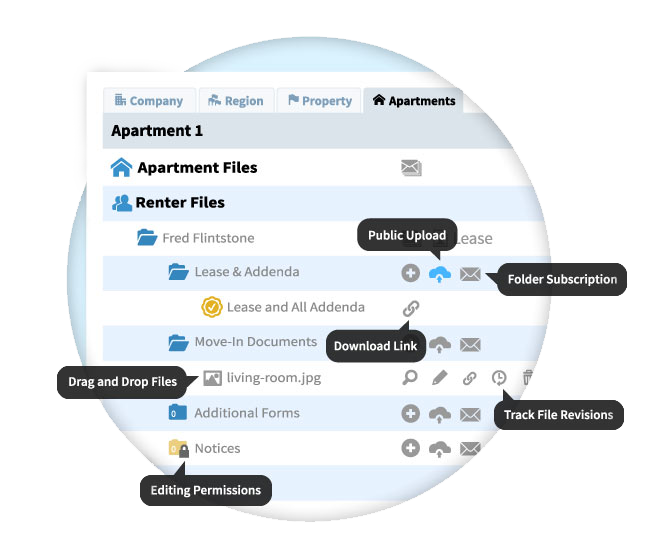 See how CloudFile can revolutionize the way you rent.